Jake Levitt was just 12 when he had his first attack of periodic paralysis, a rare orphan disease. The rest of his life has been spent fighting back. When Jacob Levitt was 12 years old, he was sitting on the floor at his karate class, when suddenly, he realized he couldn’t stand up. Even when he tried moving with all his might, his body wouldn’t budge. Something was terrifyingly wrong. A family friend slung the boy over his shoulder and drove him home. After doctors drew blood and ran some tests, they discovered that Jacob had periodic paralysis, an exceedingly rare and petrifying genetic condition that causes temporary spells of muscle weakness and immobility. Sufferers describe being paralyzed for weeks on end. 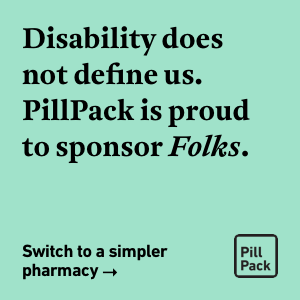 The condition is so rare it’s designated as an orphan disease: one that so few people suffer from, pharmaceutical companies don’t think developing a medication for it is worth the investment. Luckily, Jacob did not go without treatment. He was prescribed an old old glaucoma drug that is sometimes used off-label to treat periodic paralysis. And it worked. Jacob, now in his 40s, returned to his karate lessons (he’s now a fourth-degree black belt), studied medicine and became a dermatologist. But even with medication, he still suffers from paralysis attacks. 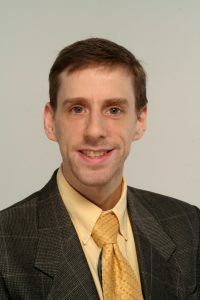 Aside from his duties as an MD, he’s also president of the Periodic Paralysis Association, a non-profit which fosters awareness of the condition and promotes research. Folks sat down with Jacob to learn more about periodic paralysis and other orphan diseases. What is periodic paralysis? How did you get diagnosed? Jacob Levitt was 12 when he had his first attack of periodic paralysis. Periodic paralysis is a group of muscle ion channel disorders whereby the electricity across muscle cell membranes becomes altered due to faulty pores in the membrane as a result of low or high potassium in the blood. There are two main types of periodic paralysis – hypokalemic periodic paralysis and hyperkalemic periodic paralysis (and a few other variants). That is, when someone is weak and their serum potassium is low, it is hypoPP, and when someone is weak and their serum potassium is high, it is hyperPP. I personally got diagnosed with hypoPP after becoming weak during a karate class. I sat to rest and could not get up when summoned. My blood was taken during this bout of weakness and my potassium was something like 2.8 (when normal should be between 3.5 and 5). What does it feel like when you’re having an attack? I want to move but my muscles don’t listen to me. It feels frustrating mostly. I want to move but my muscles don’t listen to me. When I wake up with a moderate attack and still cannot move, it is anxiety provoking because I know there is a possibility for the attack to get much worse. In a total body paralysis attack, it is more scary. I know people have died due to cardiac arrhythmia or asphyxiation during severe attacks. Sometimes, my attack is so severe I get too tired to speak to explain how to manage it. If I am in the hands of ignorant medical professionals, it could easily be fatal. Luckily, most of the time I can medicate properly with potassium. Sometimes, I under-medicate not realizing that some attacks require more than the usual potassium to get me out of it. In that case, the attack ends up being prolonged until I figure out how much additional potassium to take (unfortunately, this is a trial and error type of thing). As such, younger patients tend to get into more trouble than veteran older patients, who have lived through more types of attacks and who get better at identifying and avoiding triggers. How did you feel after you were diagnosed? How did you come to terms with your disease? I was kind of young when I was diagnosed, and for the most part, with medication, I did not feel too limited in my activities. With time, I recognized some limitations with my diet. I cannot eat macaroni and cheese or pizza or Coca-Cola without repercussions, so I avoid these things when possible. I also find it frustrating to keep physically fit. I cannot just do 20 push-ups and call it a day. I have to premedicate, do a reasonably strenuous work out, or do nothing. The potassium causes stomach upset. The acetazolamide that I take for prevention of attacks requires me to urinate frequently, which is disruptive to my day, and it causes kidney stones from time to time. The most distressing part of the disease for me was the potential for being permanently weak when I get older. I know pretty much for sure that this will happen to me, it is just a matter of time. So, I try to keep as fit as possible now and enjoy my body as much as possible while I can use it. And yet, due to work responsibilities, I am not doing this to the fullest. But, overall, I am thankful that I am generally healthy and very independent. You’re a black belt in karate. Are there any ways that helps you deal with your disease? The karate for me reinforces my innately stubborn personality, which helps me not give up. It works synergistically to heighten my grit. What are some of the unique challenges people with orphan diseases like periodic paralysis face in trying to get treatment? 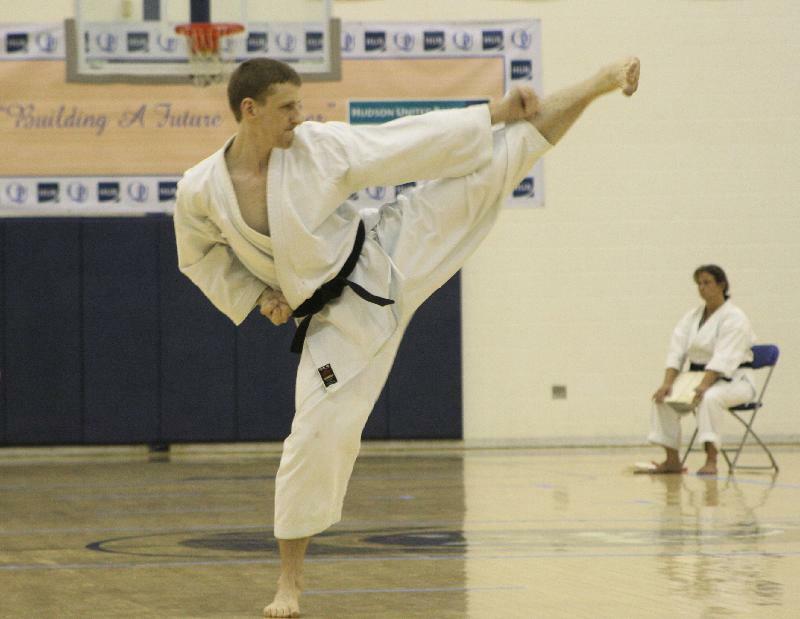 The karate for me reinforces my innately stubborn personality, which helps me not give up. Obtaining a diagnosis is one major challenge. Folks with periodic paralysis routinely have years if not decades of diagnostic delay. Often they present with vague symptoms rather than frank weakness, which eludes physicians. Some physicians are downright cruel when dealing with these patients, labeling folks as having conversion disorder, malingering, and the like. Genetic testing is helpful when positive, but a negative test does not rule out the disease. This point is misunderstood by some physicians. Another major problem is someone who has the correct diagnosis being mistreated in an emergency setting. For example, hypoPP folks should not get sugar, as it worsens their attacks. Yet, most intravenous fluids contain dextrose. So, you can see how someone with an already low potassium receiving dextrose could have a fatal outcome due to ignorant healthcare workers. Karate helps keep Jacob’s grit up in the face of his condition, he says. Can any muscle, or group of muscles, be impacted? Are there any that are more likely or less likely? Any muscle can be impacted, but typically upper and lower extremities, trunk, and less frequently neck. Rarely, every muscle except the diaphragm gets paralyzed, including accessory muscles of respiration. Some folks lose the ability to speak, swallow, or even open their eyes in severe attacks. How is periodic paralysis treated? Treatment rests on three main principles: 1) identify and avoid attack triggers; 2) diuretics for long term prevention of frequency and severity of attacks; and 3) medications to administer to resolve an acute attack. In the case of hypoPP, avoiding carbohydrates and sodium chloride is key. Premedicating with potassium before exercise is helpful. Acetazolamide, dichlorphenamide, eplerenone, spironolactone, triamterene, and amiloride are all options for long term maintenance. Potassium chloride dissolved in water reverses most acute attacks of weakness. Sustained release preparations of potassium are also useful for some folks. In the case of hyperPP, avoiding high potassium foods is helpful. Interestingly, acetazolamide and dichlorphenamide work for hyperPP as well as hypoPP. Other potassium wasting diuretics, most commonly hydrochlorothiazide, help in long term prevention. Acutely, eating sugar or inhaling albuterol can reverse attacks of hyperPP. Seeking genetic testing, and getting the whole family tested will avoid diagnostic delay. People with periodic paralysis can live full and productive lives. One must merely recognize one’s limitations and never give up seeking to optimize strength and well-being. Researchers are actively working on understanding the underlying physiology of the disease, and with that understanding will come better therapies. 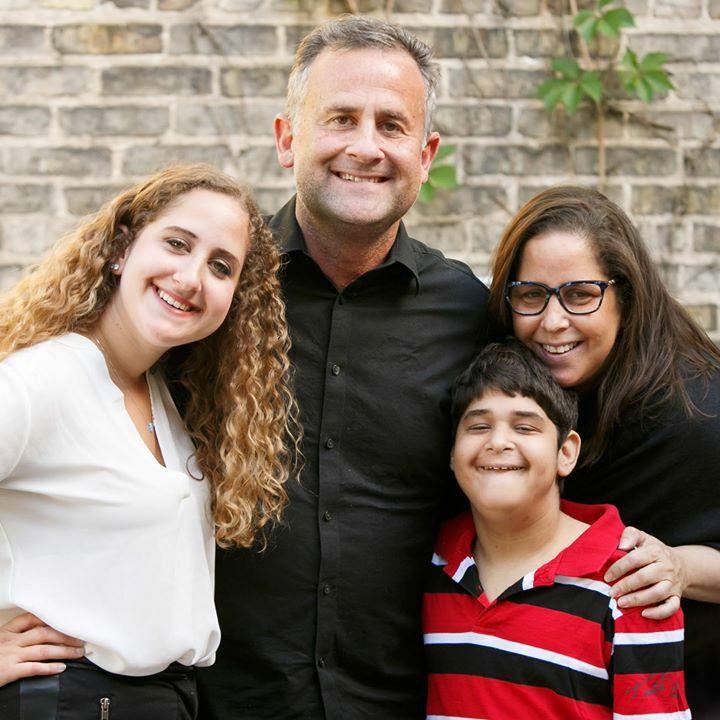 Born with a rare orphan disease--Fanconi Anemia--that mostly targets Ashkenazi Jews, Jacob Grossman is a ray of light to a family and community who couldn't do without him. “She’s very good at politics,” says Jacob Grossman. “She’s living in DC. She has blond hair. She’s better than me at singing the presidents song. She’s very good at history. She’s deaf.” He’s talking about his sister, Talia Grossman, from whom he received a bone marrow transplant when he was three and she was five. Jacob is 18 now, a medical miracle considering that when he was born, the life expectancy of people with Fanconi Anemia (FA) was ten years. FA is a rare genetic disease that appears mostly, but not exclusively, in Ashkenazi Jews. Jacob’s is an extremely severe case. He was born with no thumbs and one poorly-functioning kidney, among other problems. “When he was born, a doctor would come in every day and discover some new problem with him. One after another,” says his grandmother, Fran Grossman. Jacob Grossman was born with Fanconi Anemia, a rare disease that appears mostly in Ashkenazi Jews. This has been Jacob and his family’s constant reality for 18 years. And yet, Jacob is a beacon of light, his family remarkably buoyant. “When Jacob’s in a good mood,” says his mother Rachel, “he can get the whole room engaged. He organized everyone for the prom pictures; he was talking with the dads, the moms, the kids. When he’s on, he’s really on.” He’s doing something right; he had a really cute prom date. “Once he wrote a joke about Helen Keller,” says Talia, laughing. “My mom was like ‘your daughter’s deaf, like stop.’” How do they maintain this kind of humor and buoyancy? Jacob may be an enormous challenge, but he’s also part of what keeps them going. 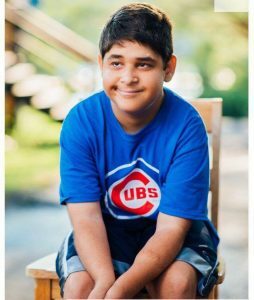 “There’re 5,000 kids at his high school and every one of them knows Jacob,” Fran says, “and they don’t treat him like a little pet.” His classmates have continuously sent him presents and cards when he’s in the hospital. Fellow students have even picked him up to take him to the movies. He has some cognitive impairment, but knows his schedule and reminds his parents about his medications. He loves studying history and playing word games. He’s got a good memory for details. As his mom talked about an outdoor adventure on a trip they took to Israel, he corrected her: “not a dune buggy, mom, it was a jeep.” In some ways he’s a typical teenager who likes to swear when he gets IVs, especially if he doesn’t like the nurses. Jacob buoys his family’s spirits… and sometimes, they lift him too. Rachel says her training as a social worker helps. “It works in reverse, too, since I’m more adept at handling intense situations, and knows what it’s like to be the parent receiving advice. They also get help from nurses and caretakers at home and school. She says Jacob has made her a more accepting person, more aware of the world around her, of people’s needs in general. She says that the attention her parents had to pay to Jacob prepared her to be an independent person—a skill that she noticed not everyone had when she got to college. “It’s hard when he’s in the hospital but I know other families where the attention isn’t 50/50 anyway,” she says. Even as his devoted caretakers, Jacob’s family is the first to point back to his own strength: “I think it developed over time because he’s had challenges since birth,” says Alan. “His stubbornness might be why he’s still with us,” says Talia. “You just do it,” she says. “You might get crabby or snippy. I knit, I read, I find comfort in food, in being with friends.” Alan, a music lover, has developed a passion for karaoke and goes to concerts almost every week. 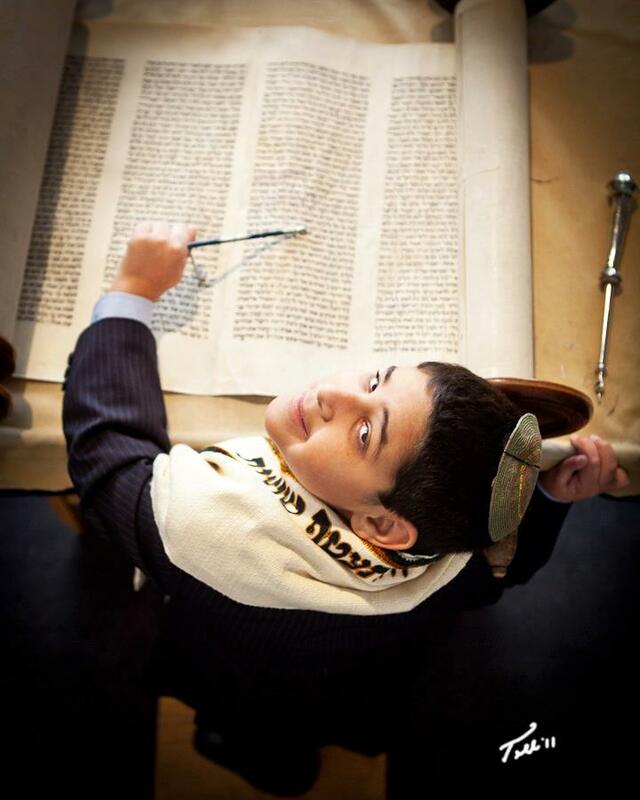 Jacob at his Bar Mitzvah. They also point to the enormous support of their community. When Rachel has been away with Jacob at the hospital, her friends have brought dinner to Alan and Talia, and even driven Talia to school. 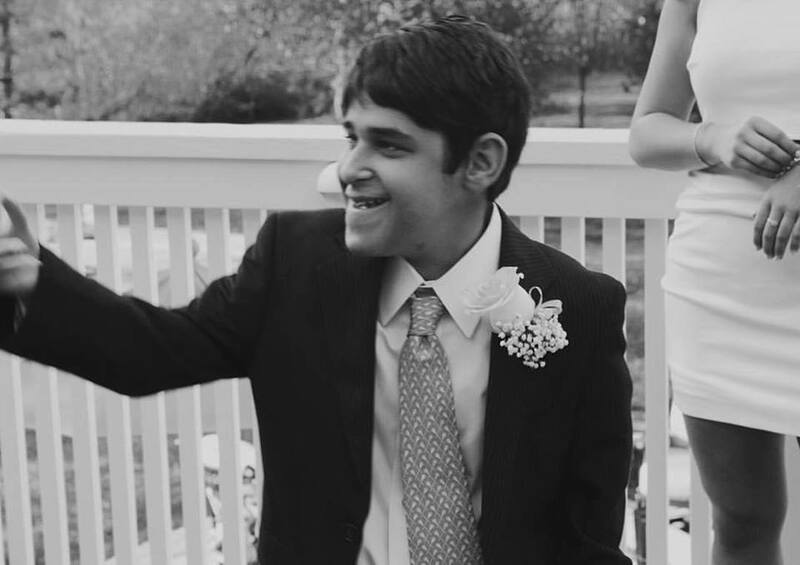 For Jacob’s 18th birthday, the family was set to throw 250-person fundraiser for his party, but during the planning period, Jacob (and Rachel) ended up in the hospital. Her friends stepped up and planned the party in her absence. But it’s clear that Rachel goes far beyond the role of mommy for Jacob. She is often his nurse, his social worker, and his full-force medical advocate. She became an expert on FA and Jacob’s conditions, and never settles for what the doctors say, always asking herself, “well what if that doesn’t work?” She researches constantly. “She walks into an emergency room and she’s an encyclopedia, with the doctors just shaking their heads,” Fran says. Not only do the Grossmans have to make sure Jacob gets the treatment he needs, but they’ve even had to raise funds for research to figure out what those needs are. Fanconi Anemia is called an orphan disease—there so few people who have it, the government doesn’t fund research for cures and private companies aren’t incentivized either since any drug would have a small market. This has meant that the families and friends of families of people with FA have funded almost all of the research themselves through constant organized fundraising.